Investment gurus want to profit by convincing you of their financial wizardry, but they don’t have your best interests at heart. The only way to avoid falling under their spell is to practice self control. 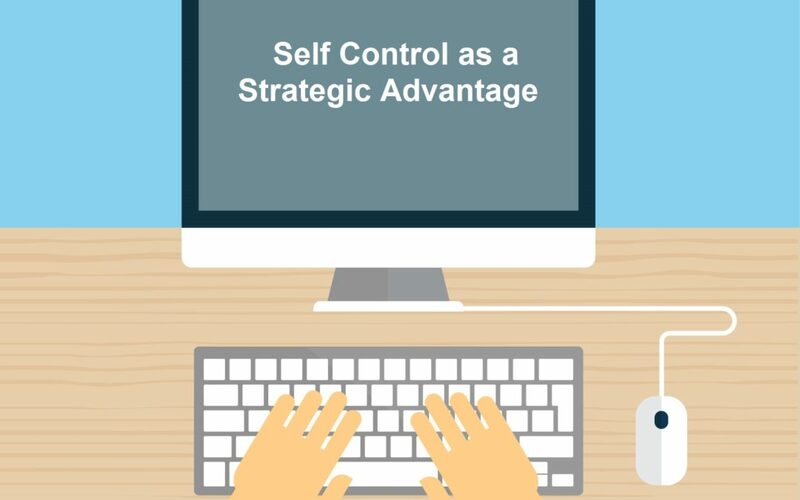 Practicing self control allows DIY investors to stick to their goals, and it gives investors a strategic advantage. Famed investor Benjamin Graham said, “The individual investor should act consistently as an investor and not as a speculator.” Some investors find Graham’s advice difficult to follow when the market volatility is high. However, consistency and self control yield the best results over time. In order to gain a strategic advantage, investors should practice self control in these three areas. For many DIY investors, simplicity trumps complexity. Complex financial products sound like intelligent offerings, but they often fail to provide meaningful risk adjusted returns. Your don’t have to stuff your portfolio with complex products to become a successful investor. Ordinary investments like stocks and bonds form the foundation for a successful portfolio. Holding high quality investments for a long period of time tends to yield long term success. Chasing returns and following trends feels satisfying, but a balanced portfolio in line with your goals leads to long term investing success. Successfully managing your risk depends on having a strategic, rules based approach to meeting your investment goals. Many investors try to time the market and speculate on the economic winds, but the best investors hold fast to their strategic rules. They have reasons that they buy certain investments, and they follow rules about when to buy and sell their investments. At DIY.Fund, we give robust information that helps DIY investors to understand their risk adjusted performance and their performance relative to sector benchmarks. By providing high quality information to individual investors, we empower DIY investors to adhere to their buy and sell rules. DIY investors cannot predict the future, nor can they control the markets, but every investor can control the risk level in their portfolios. Likewise, we can control how balanced we keep our portfolios. While many investors react to the daily movements of the market, that’s not usually the right decision for your portfolio. We give investors the tools that they need to control things that are in their control. We want investors to understand the risk inside their portfolio, and how their returns compare to a benchmark. However, we don’t want investors to believe that they can conjour up outperformance every single day. It takes a great deal of self control to focus on the things that you can control, and to let go of everything else.